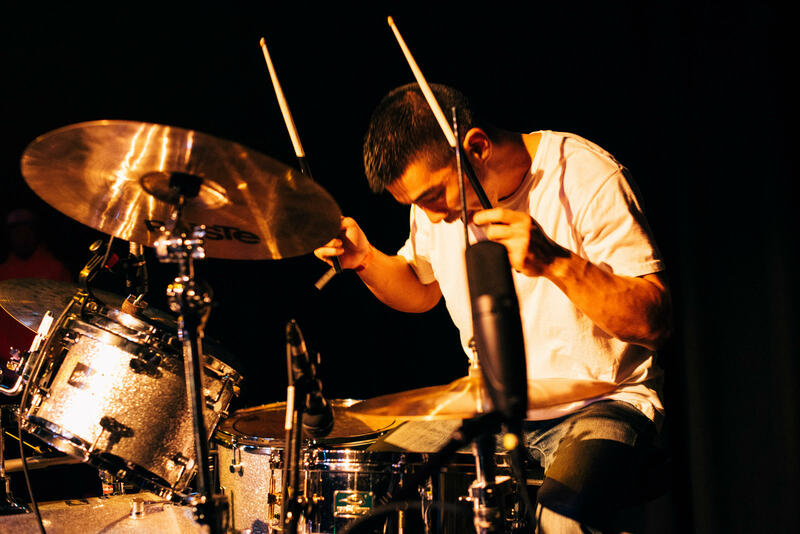 In HPR’s Atherton Studio on Friday, August 10, drummer Dae Han and his ensemble of musicians give jazz standards a breakbeat background and hip-hop a jazzy flair. Their influences are J Dilla, A Tribe Called Quest, Herbie Hancock, Miles Davis, Stevie Wonder and many more. Traditional jazz fans and hip-hop aficionados could find in these explorations some surprising common ground. The Dae Han Ensemble members are DJ Jrama, Nelson Cho on MPC, Gilbert Batangan on guitar, Mark Tanouye on bass, Joshua Kaye on piano, Dae Han on drums, with vocals by Nick Kurosawa, Jackson Moxilla and Mindy Smoketack. For this jazz-based evening, DJ Jrama or Rapper Mox will not be featured.